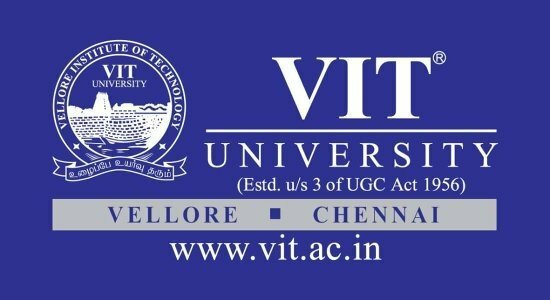 VIT UG 2017 The Vellore Institute of Technology has invited applications for the admission to the undergraduate courses for the academic year 2017-2018. The courses offered are BBA / BCA / B.Sc. (Computer Science) / B.Sc./B.Com, Multimedia and Animation / B.Sc. Catering and Hotel Management. The candidates who are interested will be able to fill the application form from 05 April 2017 to the last date 05 June 2017. There will be an online test for the admission to these courses and the mode will be online. The VIT test will take place on 07 June 2017. All of you who are interested in filling the form can do so at the official website at vit.ac.in. The candidates who want to fill the form in offline mode can get the form from the counter of the institute by paying a sum of Rs. 400. Please fill in the form and send a copy to the institute at the address below. The Candidates will learn in this article the important dates for VIT 2017 for undergraduate programs. Admission and other details such as Educational Criteria, Age Criteria, How to apply for, VIT 2017 Admit Card, VIT 2017 Result, VIT 2017 Counselling, Documents to be send along the application from at vit.ac.in. B.Sc. Computer Science / BCA A candidate must have a minimum of 70% overall aggregate in Higher Secondary Examination in any stream with Mathematics as one of the subjects. B.Sc. Multimedia and Animation A candidate must have passed Higher Secondary Examination or have a Diploma (10+3) in any stream with a minimum of 70% overall. B.Com. (Bachelor of Commerce) / BBA (Bachelor of Business Administration) A candidate must have a minimum of 70% overall aggregate in Higher Secondary Examination. And the Student must have studied Commerce / Accountancy / Mathematics as one of the subjects. A Candidate whose birth date falls on or after 1 July 1997 are eligible to apply. The date of birth must be same as recorded in the High School / SSC/ X certificate. The Candidates should be able to produce the original certificate as a proof of their age. If the candidate does not produce this document his candidature will be liable to be rejected. The Vellore Institute of Technology has published the Names of candidates who have been shortlisted for the Counselling. The counselling will be held as per the schedule provided above & list of shortlisted candidates is provided below for your convenience. Candidates will be required to enter all the relevant details carefully. 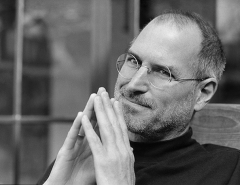 The applicant will receive a password over the registered mobile no. and email id. All the necessary communications will be made through this number and id in the future. Request for change of mobile no. & e-mail id will not be entertained. All the registered users need to login now with the email id and password received from VIT. Candidates will be required to enter all the relevant details carefully before submission. An application number will be generated after the submission of the application. This application number can be referred to for all the future correspondence. The payment can be made in Online mode through Netbanking / Credit / Debit card. Photograph Image: The size of the file that the candidate is going to upload should be between 10 KB to 200 KB with the dimension of 3.5 CM X 4.5 CM. Signature Image: The size of the file that the candidate is going to upload should be between should be between 10 KB to 200 KB with the dimension of 3.5 CM X 1.5 CM. Please note that selfie photo is not allowed. At the time of transaction, if the amount has debited from your account already, please do not fill another application. If you were unable to see the transaction details please wait for 24hrs and try for the payment once again in the same registered email id. Copy of age proof certificate. Copy of XII statement of marks certificate. Copy of community certificate (for reserved category SC/ST only). Copy of nativity certificate (if the applicant is from Jammu & Kashmir and north eastern states candidates). Copy of sports certificates (if the candidate is applying through sports quota). The VIT 2017 Admission Card for undergraduate courses will be available for those candidates who fill the Application Form within the span of prescribed time. The admit card can be downloaded from the official website of the Vellore Institute of Technology at vit.ac.in. The admit card will be issued one week before the exam. The candidate must check the site regularly for the availability of the admit card. The admit card has to be brought along on the day of the examination. VIT UG 2017 on the official website at vit.ac.in. The date of the results has not been announced as of now. The students are informed that the result page will be available as soon as it is updated on the official website. We will update the VIT page along with the steps to learn how to download the result page and what to do after obtaining the result page. at to do after obtaining the result page. The VIT result will be announced after the exam. Soon after the exam result there will be a counselling which will begin in order to complete the admission process. The candidates are informed that there will be a counselling processing fee of Rs. 12,000/- required to be paid through a demand draft in favor of the Vellore University payable at Vellore. The candidate must have the DD and a set of photocopies of the certificate mentioned above. The selected candidates will have to submit DD for Rs. 12,000/- drawn in favour of “VIT University”, payable at Vellore. This amount includes counselling processing fee of Rs. 5,000/-. The counselling fee is non-refundable, however, it will be adjusted in the tuition fees once the candidate joins the University. The Candidates will have to participate in the VIT Counselling process for the purpose of document verification. In The cases where the candidate fails to produce any of these documents, he/she shall be disqualified for admission. The seat allotment for a programme once made is final and cannot be changed at all. If the candidate do not have DD they will not be permitted to attend the counselling. The Counselling processing fee ( Rs. 5,000/-) is nonrefundable, but it will be adjusted in the tuition fees once the candidate joins the University. After the VIT Result has been announced, the qualifying candidates will be called for the counselling in the order of merit based on the aggregate of total marks secured in the +2 / Higher Secondary Examination. This will the the sole process, therefore the candidate shall not request for admission through any other mode. He/she has to participate in the counselling if they want to take admission. If you have any query please comment in the box below.